(February 13, 2011) --- The Vince Lombardi Trophy is happy to be back home. Make that, extremely happy. "Let me tell you, the last 12-months in New Orleans were a nightmare," said the Lombardi Trophy. "It’ll take me months to shake that stench... and you know what else? I think I put on 10-pounds." 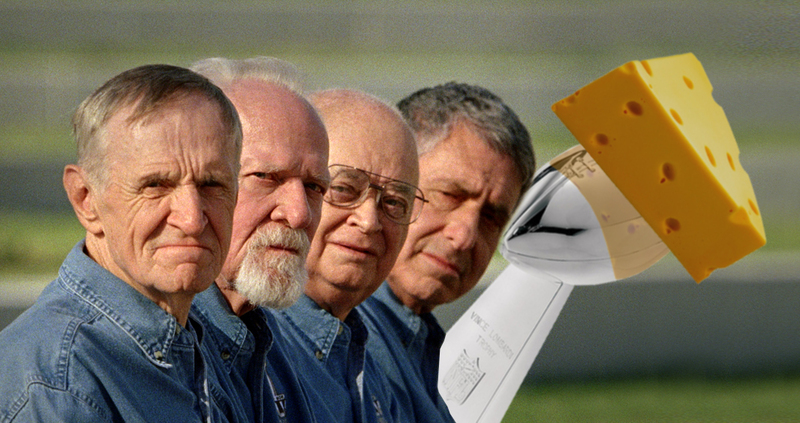 Here's a nice picture of those five lucky bastards who have never missed a single Super Bowl. Said the Vince Lombardi Trophy, "I've missed births, weddings, funerals, but I've never missed a Super Bowl... or a chance to thumb my nose at Buffalo Bills fans." It was on January 15, 1967 when Dr. Pete Rozelle delivered a newborn Vince Lombardi Trophy (7-pounds, 22-inches) and presented him to his father for the first time. Just after this picture was taken, coach Lombardi checked the young Trophy's diaper and then yelled, "What the smell's going on in there!" It’s no wonder the league’s most sought-after prize holds Wisconsin close to his heart. The Vince Lombardi Trophy was born there on January 15, 1967 and spent the first two-years of his life growing up in Green Bay with his namesake; legendary Packers coach Vincent Thomas Lombardi, Sr. When Joe Namath's Jets and the Miracle Mets both coincidentally won championships for New York City in 1969, the Lombardi Trophy and the Commissioner's Trophy became fast friends. 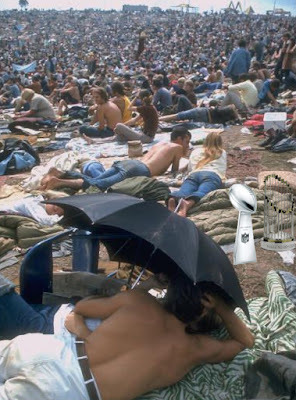 Here's a nice photo of the two trophies waiting for the Dead to take the stage at Woodstock. During the 70’s the Lombardi Trophy took residence in Kansas City (“soooo bored”), Baltimore (“held-up five-times”), Pittsburgh (“too many mullets”) and Miami (“those two years were a complete blur”).